The new Astra, pictured, will be launched at the Frankfurt show in September. Magna International plans to revamp Opel's model lineup and return the carmaker to profit by 2011, the supplier's Co-CEO Siegfried Wolf said. Opel will become profitable "in about two years," Wolf said in a Bloomberg Television interview. Wolf said Magna will "very carefully" examine changes to the Opel product pipeline before completing a business plan by September. He noted that Opel "has lots of new cars in the pipeline." Opel will unveil the new generation of its Astra hatchback at the Frankurt auto show in September. The carmaker also plans to launch a new Meriva minivan in 2010 and a new Zafira a year later. 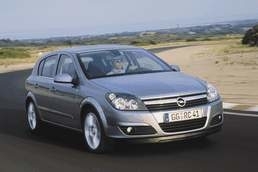 Last year, Opel sold 338,618 Astras, according to JATO Dynamics, making the car the company's No. 2 best seller after the Corsa. Opel, which sold about 1.5 million cars worldwide last year, isn't too small to compete globally, Wolf said in the Bloomberg interview. The "industrial logic" of a tie-up with Magna will ensure the carmaker's survival, he said. "It's not just the volume alone that matters," Wolf said. "Opel has good management. In combination with Magna, I'm quite sure they'll find the right way to become competitive again." GM is selling a 55 percent stake in Opel to a consortium led by Magna. The Canadian supplier will take a 20 percent stake and Magna's Russian partner Sberbank will buy another 35 percent. GM will keep a 35 percent stake and the remaining 10 percent would go to Opel's 50,000 European employees.